Cascading Style Sheets (CSS) is the skin of your WordPress website or any site. The CSS decides how your website appears, the style and the look of your site. Even when you intended to do some website template customizations, most of the time the tweaks are done in the CSS section only. If you are searching for trendy website templates with all the updated looks, then this list of free CSS website template is for you. The major CSS update you get in the modern website is the cool animation effects. You can easily grab your visitors’ attention to the web element you want by adding cool animation effects to the elements. 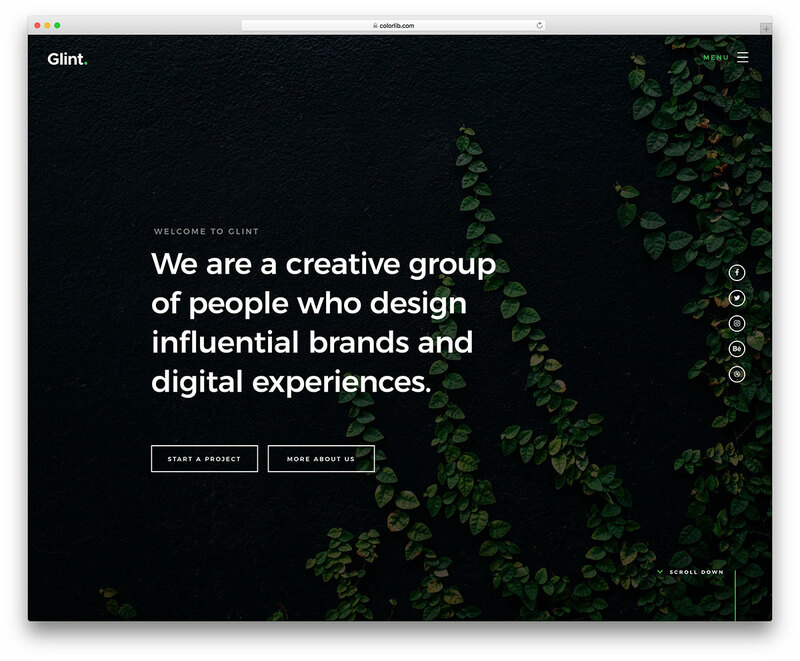 Glint website template gives you trendy visual effects to your website. Developers have used the latest CSS3 to this website template. 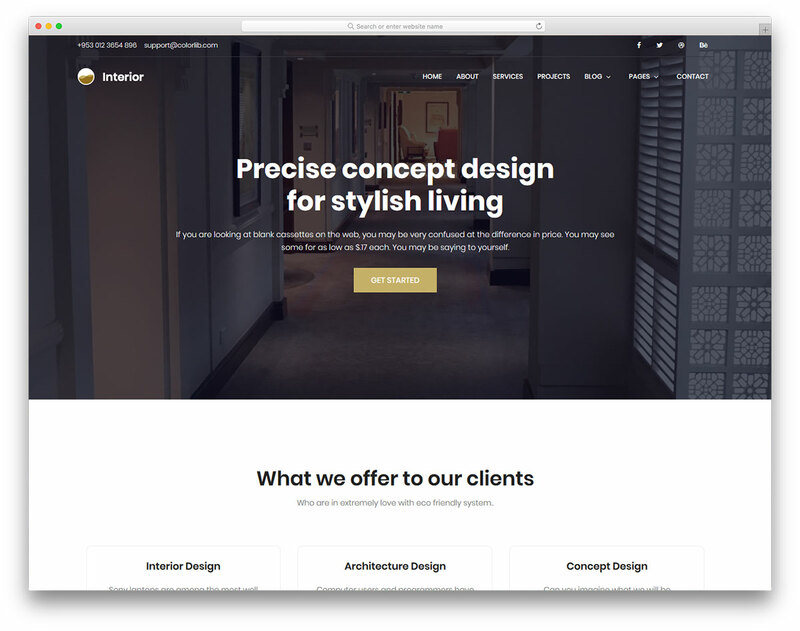 As soon as you land on this website template demo, you will see an arrow indicated you to scroll down to control; this is the modern website, letting your visitors navigate your site easily. All the cool transitions from the sides and fade in entry of the website elements easily helps you to get the visitors attention on the spot you want. 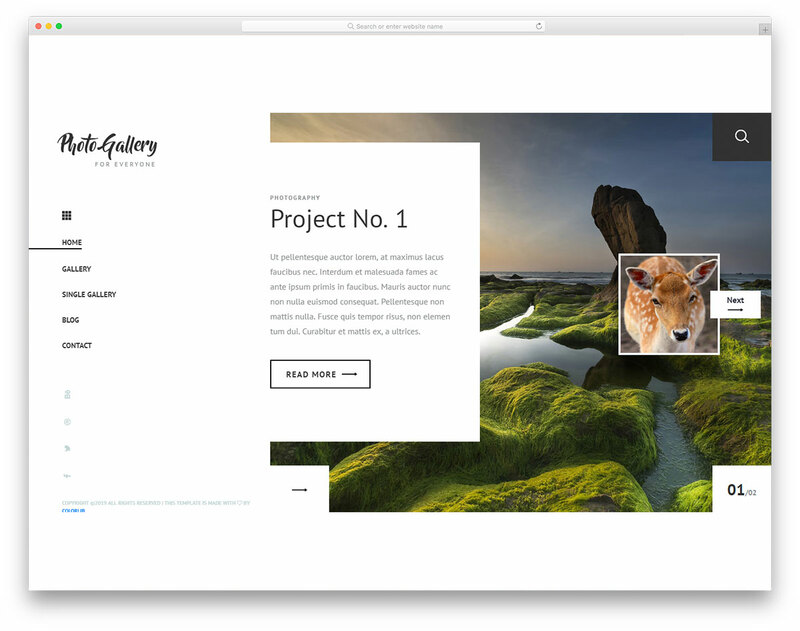 PhotoGallery is a wonderful free CSS website template for photographers. Whether you are just starting out your photo project or you are an established photographer, PhotoGallery is here to take your project to new heights. With its creative and modern web design, you will spark everyone’s curiosity and make them express their interest in learning more about what you do. Along with the striking index page, PhotoGallery also delivers a beautiful gallery, enticing single gallery section, blog and a contact page. Yes, that’s all you are getting with PhotoGallery. What’s more, the tool is also mobile-ready and cross-browser compatible, making sure the experience is the same amazing one regardless of the device and platform they use. If you are in the process of expanding your project and take things into your hands, do it with PhotoGallery. 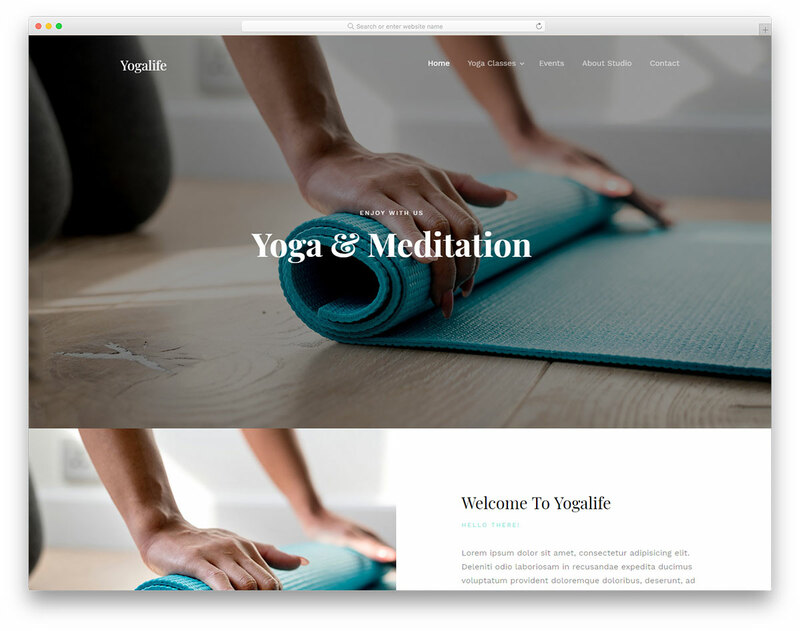 Hence the name, Yogalife is a free CSS website template for yogis and yoga studios. It welcomes all your site guests with a full-screen slider that will take them on an adventure through relaxation and exercise. The slideshow also features a parallax effect what gives it an extra touch of sophistication. Moreover, Yogalife sports sticky navbar with multi-level drop-down menu, pricing plans, pop-up gallery and an additional slider to announce your forthcoming events. With Yogalife, you can push your spectacular services and win over more students. Promote your different yoga classes, share your story in the about us section and link your page to your social media accounts. Contact page with a working form is also part of the deal so you do not need to build one yourself. 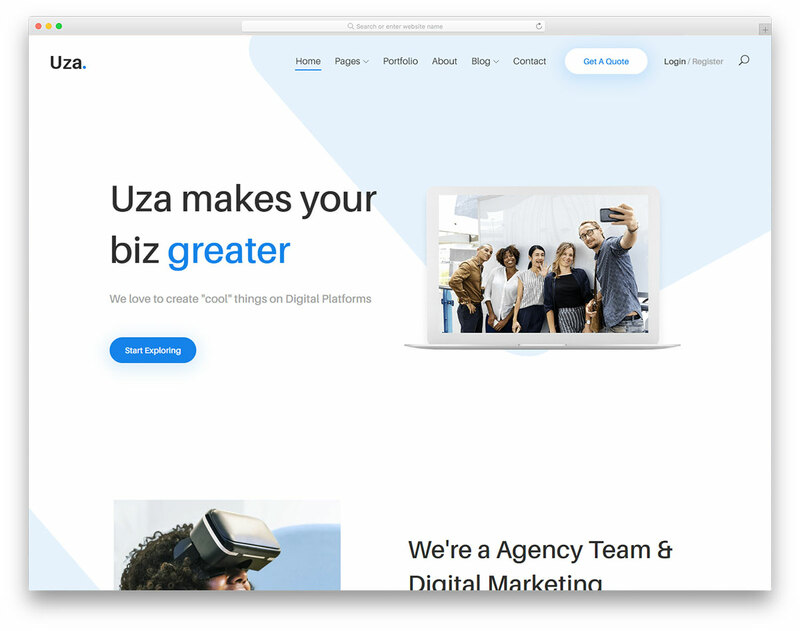 For businesses and agencies, here is Uza. This free CSS website template prides itself on the clean, minimal and creative web design it sports. On top of that, working with Uza is simple thanks to its fully organized structure. You can enjoy employing it out of the box but you can also improve and enhance it per your requirements. No doubt, the outcome will always be outstanding, attracting new potential clients in desperate need of your services. Uza includes a broad range of different features that will do your online presence exceptionally well. Slider with cool transitions, video support, categorized portfolio page, blog section and a contact page with form and Google Maps, it is all at your disposal. All you need to do is to download the template and get things moving forward in the right direction. 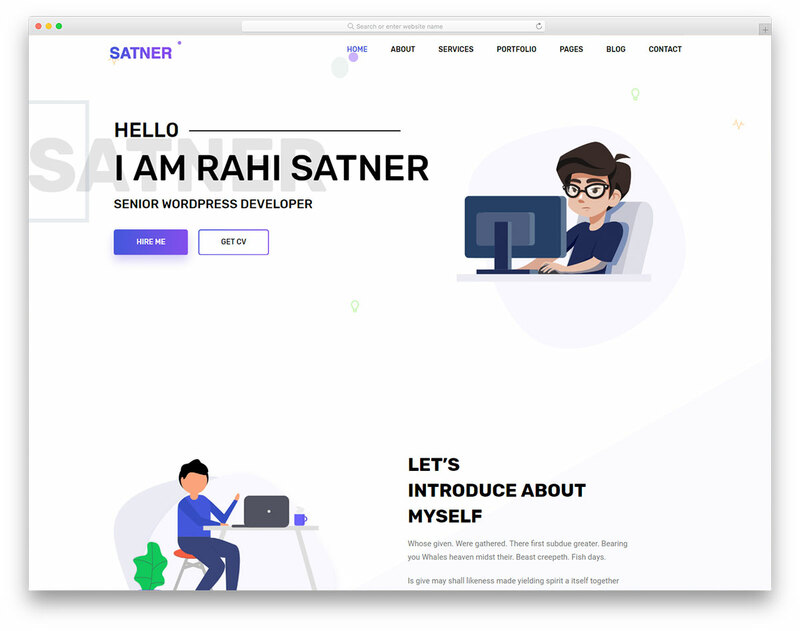 Web developers, designers, freelancers, professional individuals and all the rest that need to push their services and boost their business, Satner is the free CSS website template that gets your rolling. With Satner, you are about to set up an interesting online resume and portfolio website that will market your expertness and help you score new business deals. It is the design that will make you start considering using Satner. It is very appealing to the eye, innovative and original, yet keeping things simple and to the point. 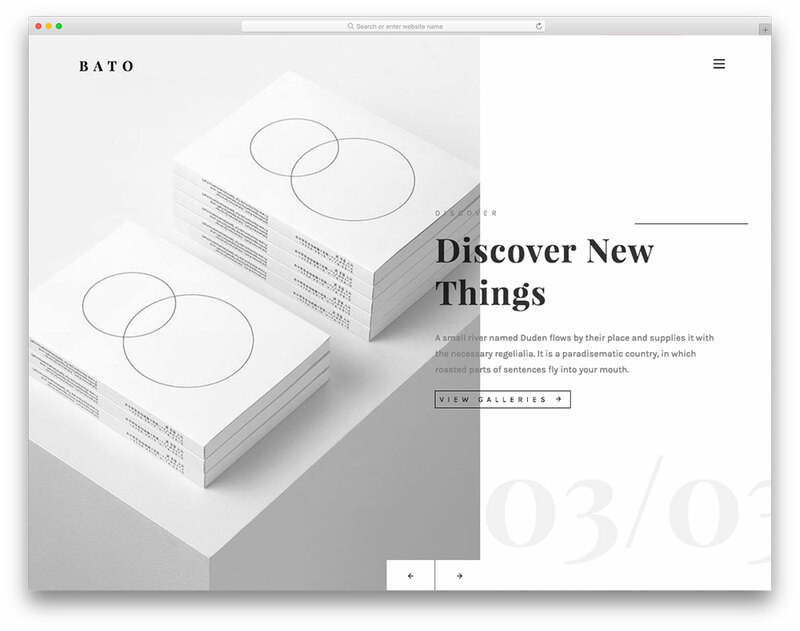 Satner has sticky navigation, categorized portfolio, testimonials and a newsletter subscription form. In addition, the tool also delivers a responsive and mobile-ready web design, compatible with retina screens and web browsers. Get your name out there, elevate your web space and attain great successes. 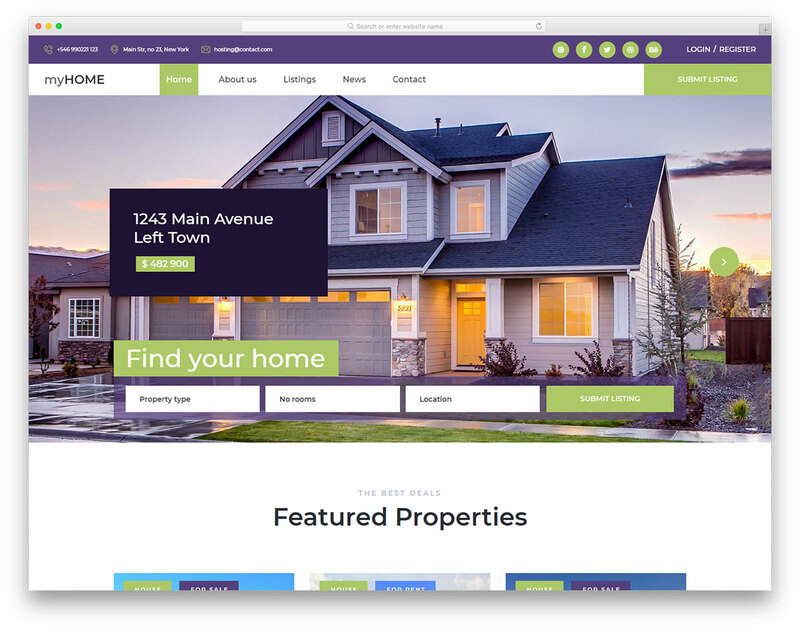 Indeed, MyHome is a free real estate and CSS website template for agencies and realtors. Houses, homes, apartments and other properties now get a new home online where you can share more images and create an in-depth presentation of each. With a solid website, you can help those in need find the most fitting place a lot quicker than they first thought. Have a complete portfolio of available properties online at all times so they can access it whenever they want. With MyHome, you can skip working on the design – it is already done for you! While you can use it as is, you can also make MyHome match your branding needs and even improve it if needed. The tool costs you nothing so feel free to download it now and start playing around with different possibilities. Find what works best for you and take your business to a whole new degree. Fitness hides nothing. 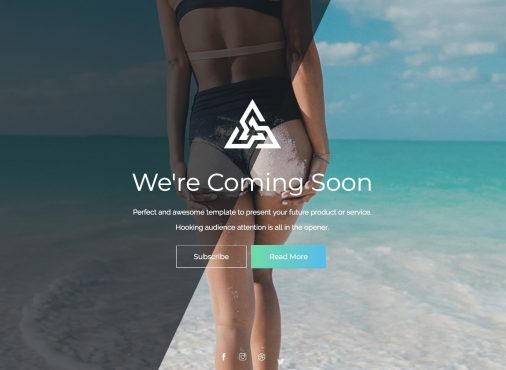 It is a health and fitness free CSS website template with great features and stunning performance. Once you see it, you will fully commit in an instant in case this is the type of a page you would like to create. While being consistent with your workouts might not be the simplest process, hammering out a neat page with Fitness is fairly easy. 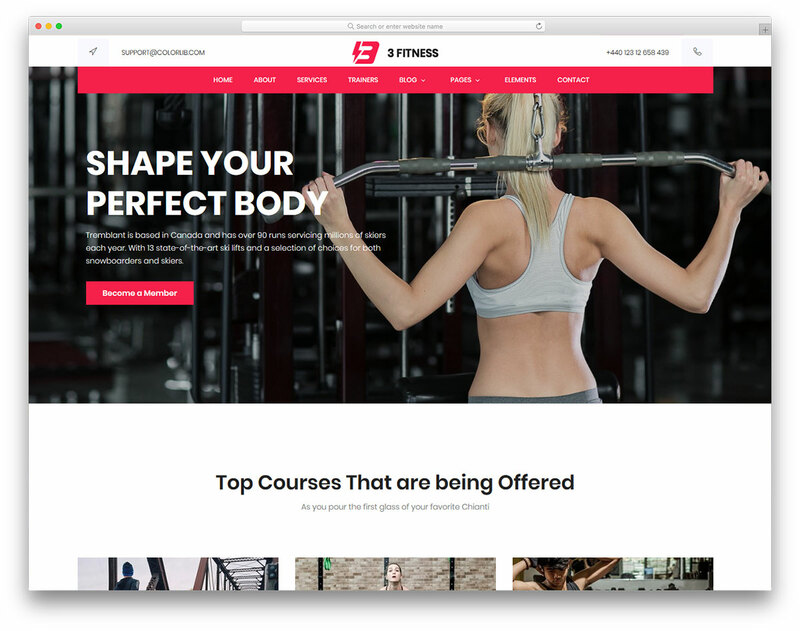 From a massive banner with text and call-to-action (CTA) button to sticky multi-level drop-down navigation and courses slider, Fitness is packed with goodies. It has all the special sections to push your training programs and special gym deals you offer. What makes it a real gem amongst free fitness templates is the included body mass index (BMI) calculator. Of course, Fitness also comes with a clean gallery to show the world what you can do with your body. Like Fitness, Education is one of those free CSS website templates that goes straight to the point. With a name like that, you already know what you get. A fantastic tool for making education-first websites. You can use it for schools, universities, online courses and other training programs, Education handles it all. It is responsive and retina ready, compatible with all major browsers and guarantees fantastic user experience. 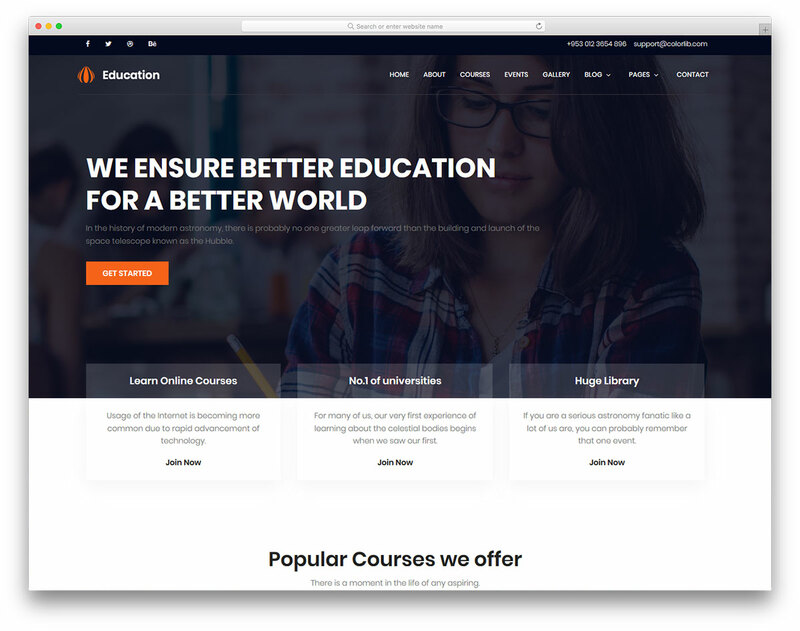 Sticky and transparent navigation, sliders for courses and testimonials, advanced courses search and even blog pages make Education and all-in-one tool for your web presence. As far as the blog goes, you can freely use it to build an independent website and begin releasing compelling articles relating to teaching, tutoring, schooling, you name it. 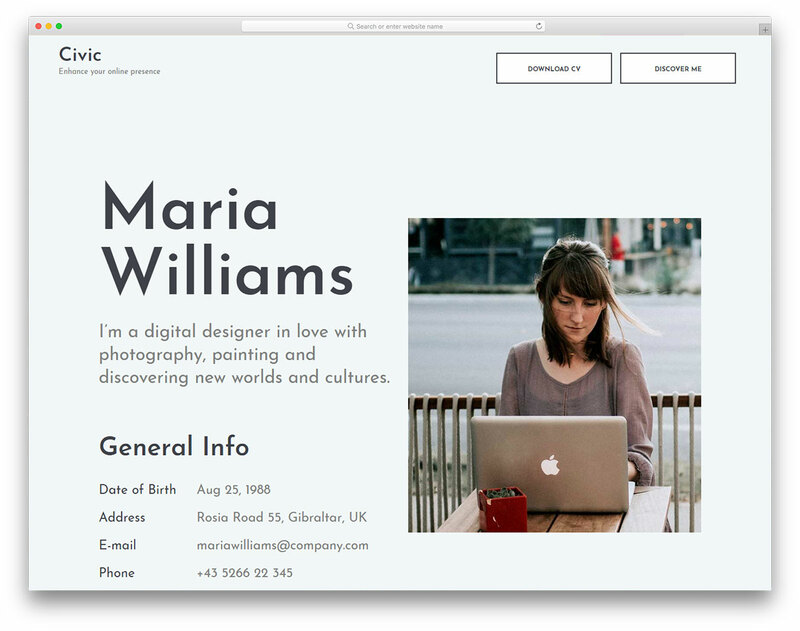 Building a personal website which you can also use as a resume just became a whole lot simpler. Here is our amazing free CSS website template, Civic, which will do wonders for you. It has a big and bold web design with its main focus being your content and information. The large timeline is clearly visible so no one is even possible to miss it. Share your work experience, education and list down the amazing references you have. Whoever visits your site that you are about to bring to reality with Civic will be impressed. Civic also has a mesmerizing portfolio section and an additional segment for all the extra skills and talent you have. Besides, right down at the bottom, it also sports a functional and super clean contact form for you to start receiving new gig deals on a regular. We try and keep this collection of the top free CSS website templates as versatile as possible. That said, here is an exclusive tool for architecture agencies and interior designers simply called, Interior. Sometimes, you just want to keep things as simple as possible, even when it comes to the name of the product. In this case, everyone instantly knows what he or she gets. Interior is a mobile-ready website template based on Bootstrap Framework what supplies pliability and simplicity. The web design is clean and minimal for your works and offerings to stand out. Push the stuff that makes your firm unique, showcase client testimonials to build trust and capture visitors’ emails with newsletter subscription box. What’s more, Interior also has an active contact page and a stunning blog section. If you are an event organizer, then Agenda will come extremely helpful. 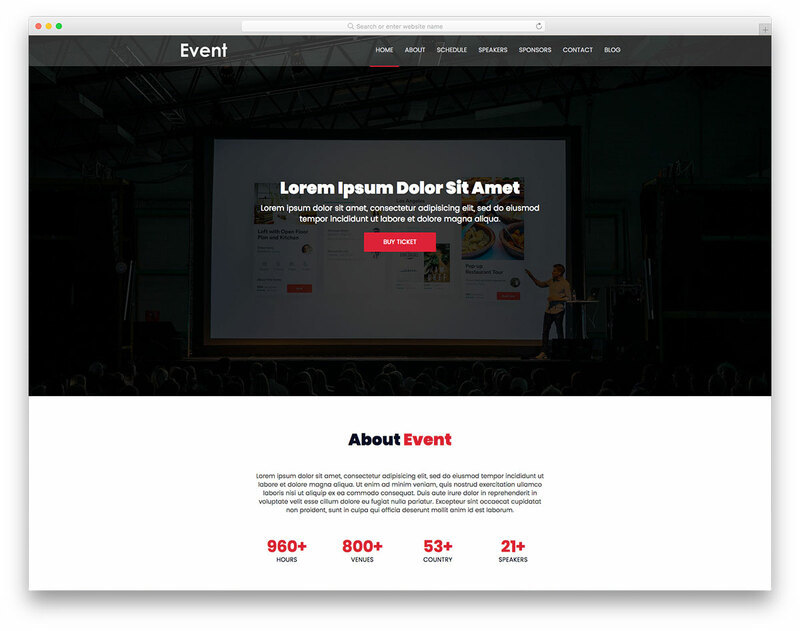 It is a fantastic and greatly performing free CSS website template for seminars, forums, meetings, gigs, concerts and similar. You can also get creative with Agenda and use it for all sorts of other websites. Spark interest in everyone that ever visits your page and have him or her intrigued and make them attend your event. List down all the forthcoming events you will host in your local area, announce the big names and offer them to buy tickets straight from your page. Promote partners who help you make it all happen and aim to capture their emails for future promotions. After all, who does not like to sign up for a newsletter to receive all the information about the upcoming events in their town? 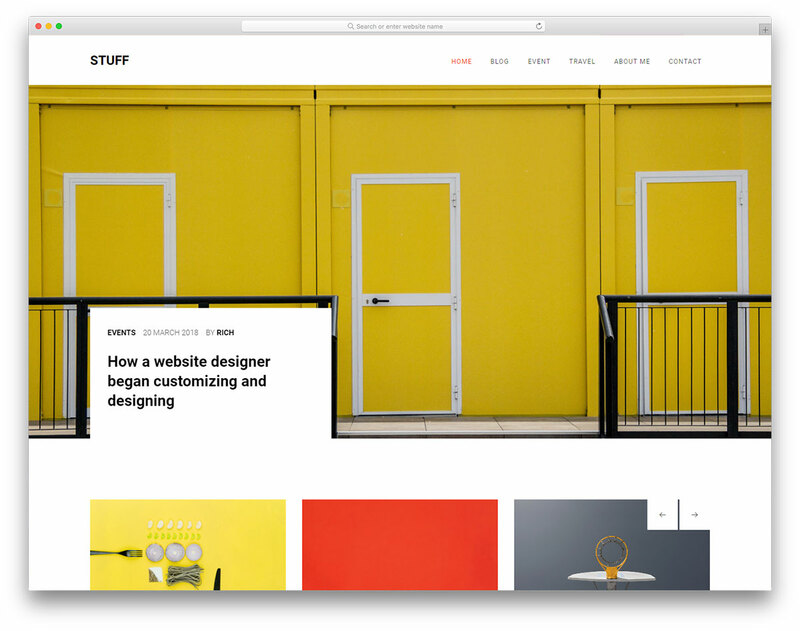 Stuff is meant for all of your stuff that you would like to write about and share with the world. It is a unique free CSS website template for blogs in all niches. Stuff goes well with food, fashion, lifestyle, gadgets, travel and all sorts of other topics that you are passionate about. Awesome slideshow and neat drop-down navigation grab the attention of everyone that lands on your site. Stuff sports all types of posts, is entirely responsive and quick to adapt to your project needs. One super cool feature of Stuff is the integrated full-width Instagram feed. Everyone seems to be talking about the photo sharing social media platform nowadays, so better include it in your plan. Stuff does not really look it is a free template due to the numerous incredible features it brings to the table. With a compelling blog, online magazine or any other news related website, you can reach the entire world easily. 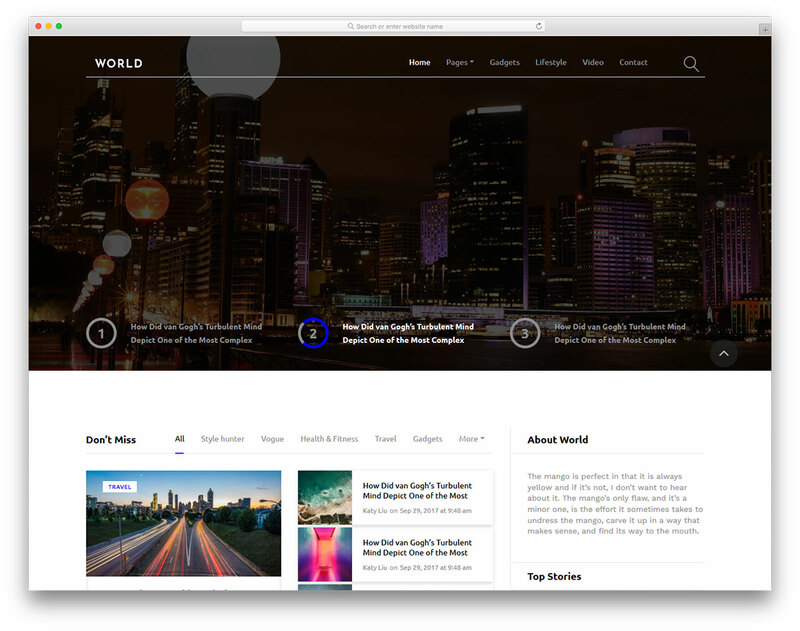 And it is our advanced free CSS website template, World, which will help you accomplish your goals. It gives you the freedom that you need to bring your ideas into words and spread them out there. World has everything you need to start a sophisticated online magazine and make it known. Give yourself a chance to start something new and turn what was once only a fantasy into a reality. No matter what your passion is, you can start turning it into something much more with World. As far as the topics go, World does not really mind what you plan to write about. It could be sports, foods, politics, whatever comes to your mind, World can manage it. 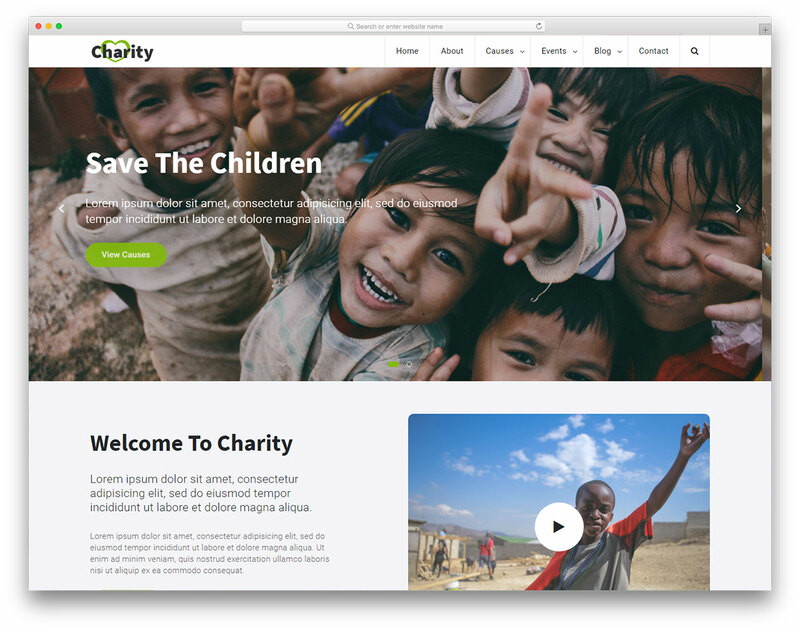 Charity 2 is the second edition of our first ever free charity website template. We improved it, make it better and gave it a slight twist regarding the design to make it even more appealing to the eye. No matter if you run a non-profit organization or you would just like to raise awareness for a particular cause, Charity 2 brings it to fruition for you easily. Can you even beat that? If you are Charity 2, you can go further and offer even more to your users. From blog section and neat single cause page to parallax effect, testimonials slider and social media links, Charity 2 has it all at your disposal. Make it popular and bring in more people to support your charity with a cutting edge website. To truly appear original on the web, look no further than Transcend. This one-of-a-kind free CSS website template is here to please all your needs and requests. If you run a creative or digital agency, Transcend is ready to sort you out with an enticing web presence. Not only that but it will also help you grow your business to new levels and gain you fresh project deals. 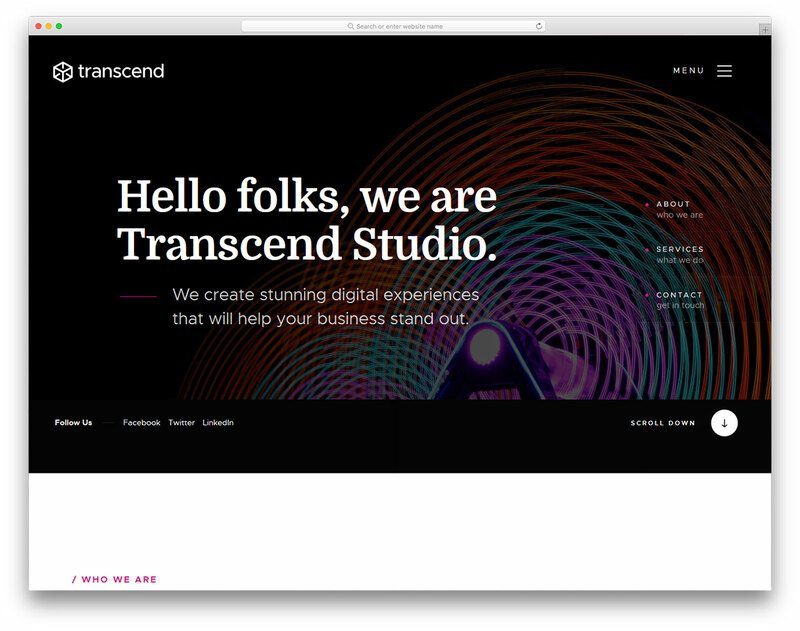 Transcend is a landing page website template with fascinating features and impressive performance. Parallax effect, on scroll content load, big portfolio and animated statistics, with Transcend, you can persuade even the pickiest ones. By the way, Transcend has both scroll down and back to top buttons. If you do not own a website yet or your current one might be outdated, refresh it with Transcend today and shine on the web. Needless to say, you got to be original if you would like to succeed in anything that you want to do. On top of that, invest loads of work into it and victory awaits you. However, once you come to creating a website, take the needed shortcut and make it happen with Original. It is a free CSS website template for lifestyle blogs but it does apply to other subjects, too. 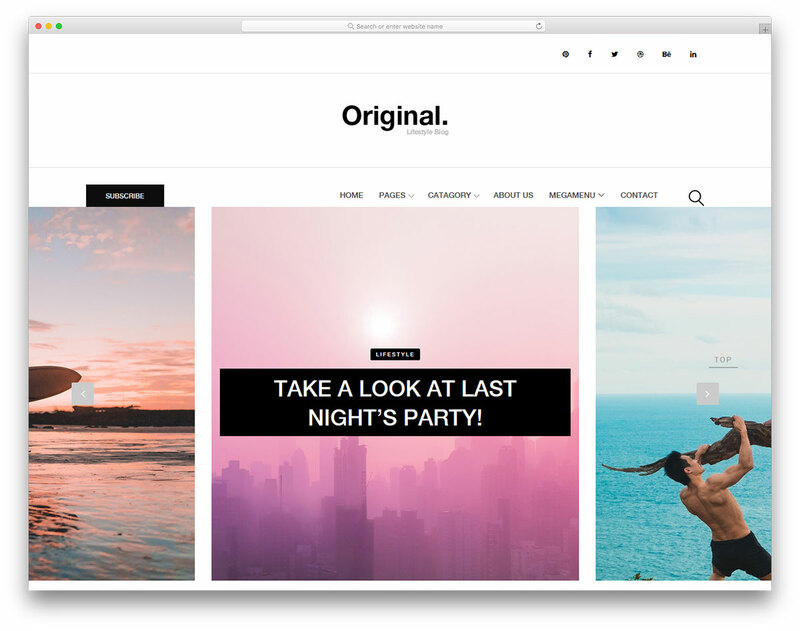 Original template is a distinctive tool for creating terrific pages which everyone would love to return to regularly. From the fantastic carousel slider and pleasing header to feature-rich sidebar and Instagram feed, Original sports all the necessities and then some. Crafting a one-of-a-kind experience with Original is very possible. Jump in with both feet and let Original fulfill your blogging journey. While Halo focuses on the photography industry first thing, you can also use it for other projects. In other words, this free CSS website template applies well to creative agencies and professional individuals who are in need to promote their works and attract new clients. Halo has a massive banner that creates a strong first impression and makes everyone hungry for more. But that does not come even close to all that Halo features you. 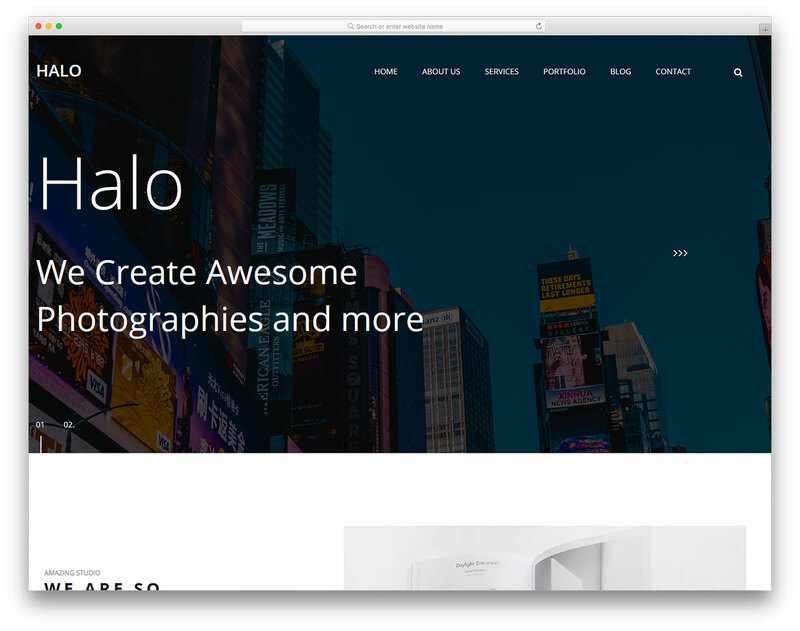 The full-width layout of Halo is so interest sparking, no one is able to resist it. Even yourself once you land on the live preview page of the tool. It is magnificent, that is for sure. Implemented into the web design is also an unbeatable portfolio that makes whatever you do appear even more professional than it already is. If you are still waiting for the right moment to come to finally build a website, it is Bato which gives you every single reason why you should do it right now. With a superb free CSS website template like Bato is, you have a great chance of succeeding online. It helps you to stand out from the crowd, go against the grain and make yourself known. Bato is packed with numerous outstanding features which you will be impressed by as soon as you check its live preview. We made sure to produce a template for every creative mind out there who is in need of something more. The Bato experience begins with a splendid home page which sports nothing else than a peculiar slider. You might not have seen one of such yet in your life. But it is not only the front page of the template what needs your attention. Every other inner section and element was carefully put together to wow every person visiting your page. No matter what financial business you have, a web presence is the first thing you need to create for it. 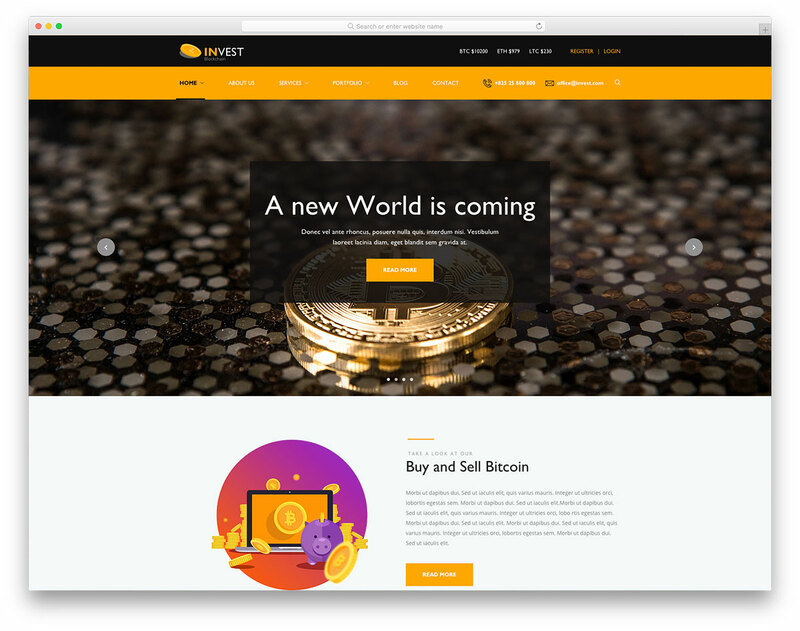 With Invest, you can make investment company, consultant, cryptocurrency, tax or any other page swiftly and effectively. It is a responsive tool that quickly and smoothly adapts to any screen, from a mobile phone and up to a desktop computer. No time to waste, establish a first-class website with Invest template and find even more clients in need of your help. Invest is a free template which comes with many great characteristics for a superb online appearance. It has two exclusive home page demos at your disposal, one for financial business and the other for coin market. You can perform different tweaks to the demo of choice and tailor it to your needs precisely. Event is the ideal solution for single gig pages. This could be a seminar, a meeting, a forum, a concert, no matter what you plan to host, Event is ready to bring it to the online space. 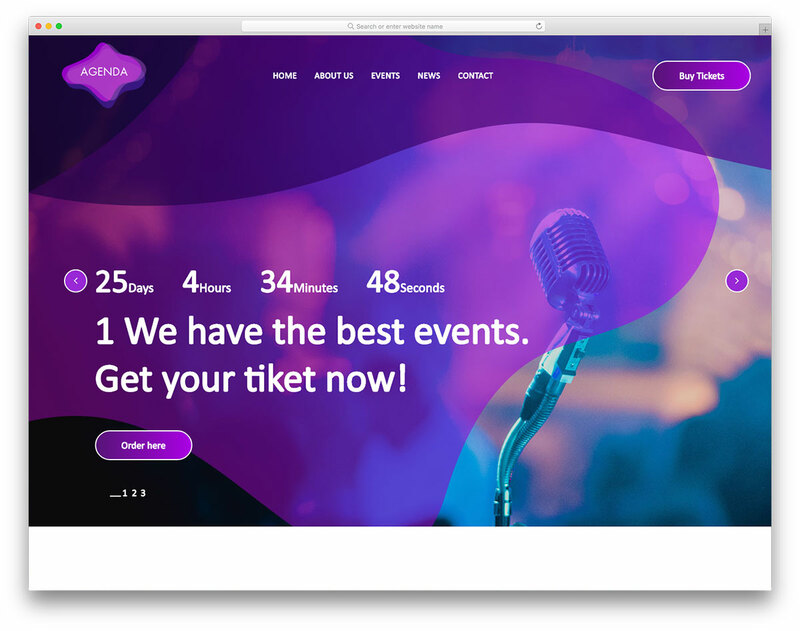 Persuading visitors to attend your event begins with a full-screen slider that supports parallax effect and a comfortable navigation. Further down the page, you can chat more about the actual happening, display awesome statistics with an animation and showcase images from past gatherings. What’s extra cool about Event is the smart and clearly visible timeline it has integrated into the layout. Use it for event schedule so your attendees never miss a single chapter. Promote speakers with the awesome pop-up bio and use Google Maps to tell the exact location. As an extra gem, Event also comes with a blog section for telling your story and content marketing. Destino is the best solution for those who help others discover new worlds. 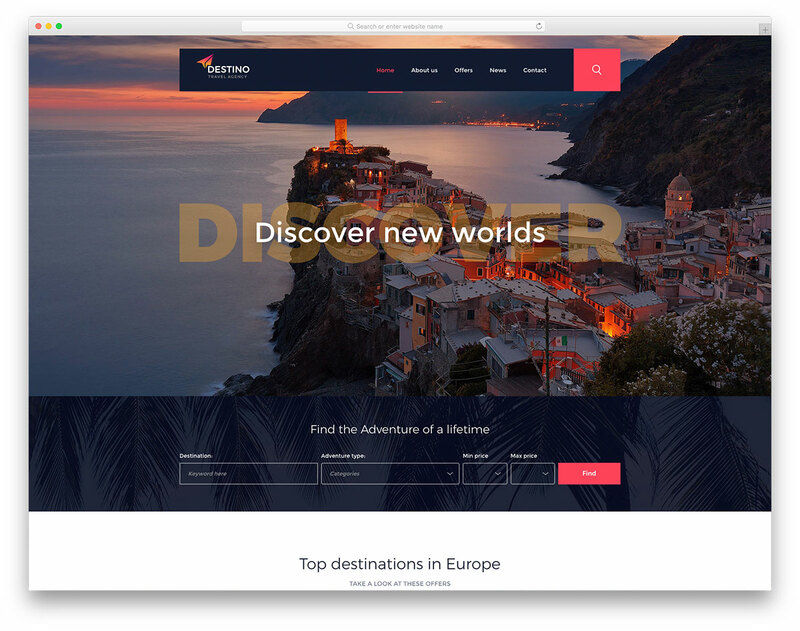 It is a free CSS website template for travel agencies with a great deal of powerful features. The template is based on Bootstrap Framework, is 100% responsive and high-tech screen compatible. Like any other tool, Destino is also in tune with all the modern web browsers and makes sure the experience browsing your page is always a flawless one. Right below the full-screen banner, Destino sports the much needed adventure finder. You can set your own categories and prices for the user to find what they are looking for in a breeze. Advertise special deals, include your promotional video and always have popular destinations on the horizon. And if they do not feel like booking right away, they surely will not mind subscribing to your newsletter. Let them stay up to date with your offerings and give them a chance to act quickly once they see the trip that suits them best. To sell fashion and accessories online, you need a clean and trendy page which puts its main focus on your items. Instead of creating one from scratch, you can now build an eCommerce website with Coza Store. The website canvas is fully loaded with superb features which you will enjoy using and benefitting from. Just look at the amazing slideshow Coza Store sports. It is best for advertising latest drops and even to push the secret sale you are running. But that is far from being it. Coza Store has a minimal and contemporary look to it that will make everyone exciting to browse through your page. It comes with a quick view feature which allows shoppers to check a particular product without leaving the current page. Doesn’t that sound quite premium to you? 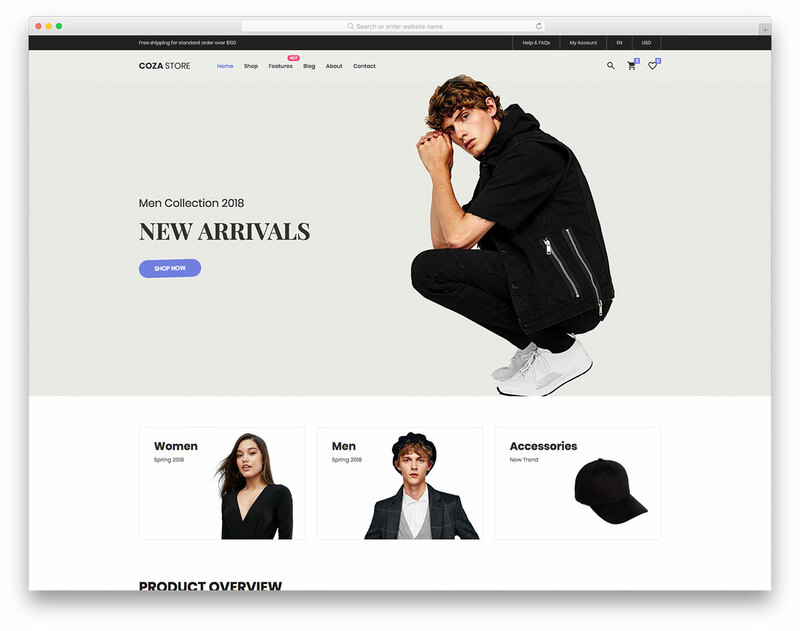 Incredible shop pages, blog, about section and contact page with a form and Google Maps, Coza Store is everything that you need for the online store you plan to launch. Ready? 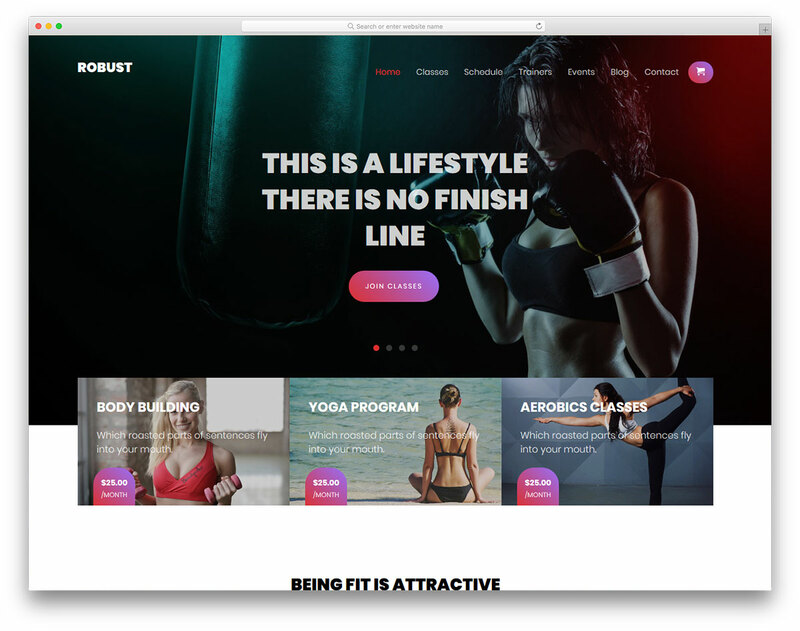 Robust is a modern website template that can be used by any gym or fitness website. The buttons are more rounded, no more old-fashioned boxes. The CSS works are also great on this template, the layouts, spacing and the fine use of green color to indicate health; everything is used in the apt proportion. That makes the Robust CSS website template unique from others. The use of modern workout icons for the daily schedule of the week is an impressive design idea. The pricing section is also taken care on this website template; there is ample space on each price card. It helps you to describe the plan neatly to the visitors. Studio is for studios, isn’t it obvious? Well, what kind of studios? There are many options and, for the most part, Studio template takes care of them all. 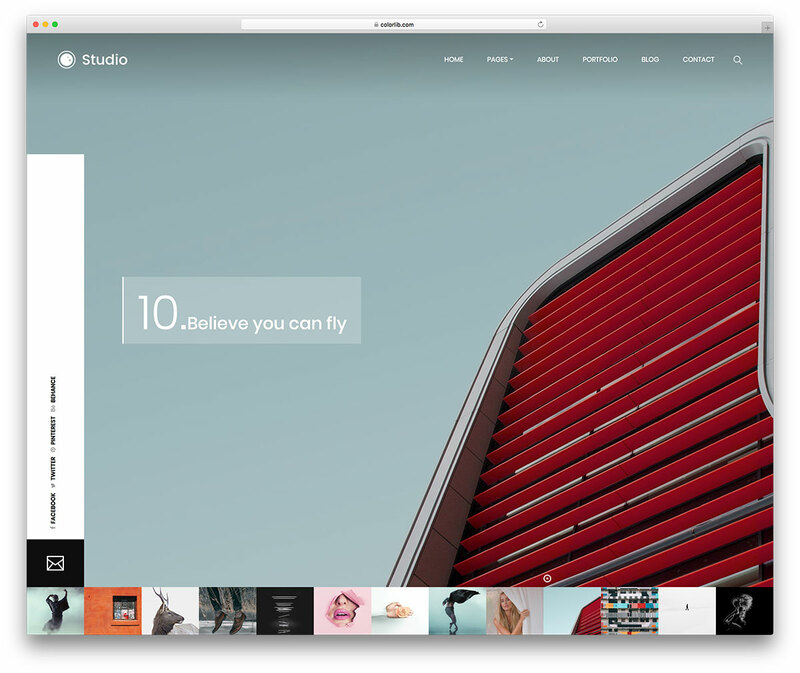 However, by default, this free CSS website template is for photography studios. What you will, unquestionably, find the most astonishing about the tool is the first page slider. It is executed in a very unique and original way to glue everyone to their screens. Along with the awe-inspiring front page, Studio also has other inner sections that cover every segment of your creative atelier. From about and portfolio to blog and contact page, Studio comes with all and then some. If you wish to own a page that is not something that you see over and over again, it is Studio that you need to go with. 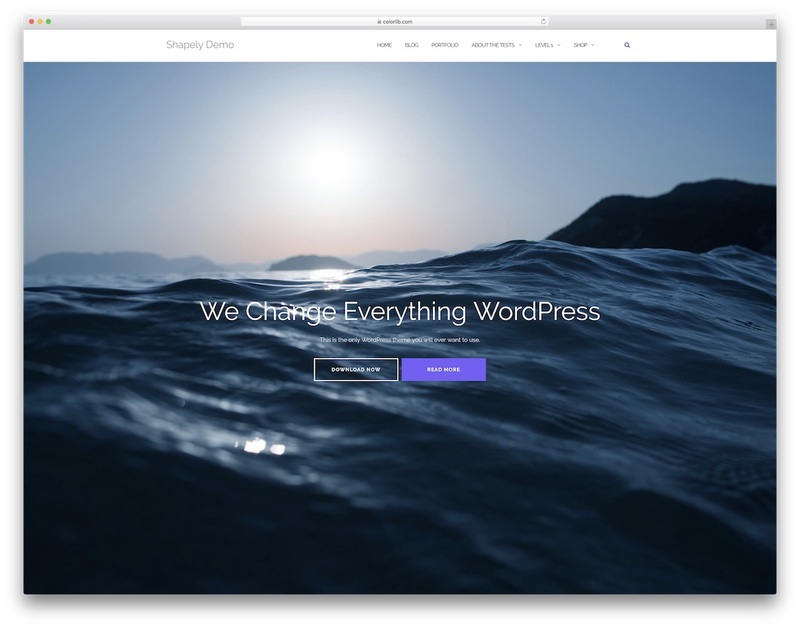 WordPress is the best CMS you can use to start your website from scratch. The difference between the HTML5 & CSS template and WordPress template is, you can efficiently manage your site. You can update the theme, or you can add extra functionalities to the WordPress templates easily with the help of plugins. Saying that these are the best free WordPress CSS website template. Shapely is a multi-page free WordPress CSS template. You have all the necessary theme elements you need in a professional website. With the pixel perfect theme design, your website can easily make a professional mark as soon as the visitor lands on your website. With the modern CSS animations and clean look, you get all the pages you need for a professional website in this free WordPress template. 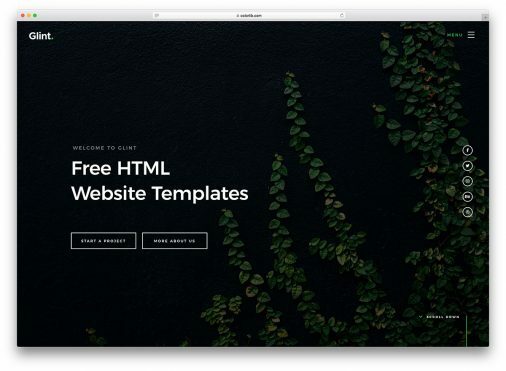 These are the best free CSS website template you can use for your website. The WordPress website template gives you a lot of benefits than the HTML website templates. The modern HTML5 templates give you all the advanced feature you need in a website but still maintaining a WordPress website is more comfortable than the HTML website. In our next blog post, we will be covering best modern HTML5 template. Subscribe to the newsletter to get notified as soon as the post is published. What’s your favorite CSS website template? Let us know in the comment section.